Now that Summer is finally here, when berries and fresh fruits are bountiful and the children on holidays, every Mum in the land is being asked to bake a Pavlova. Everyone's happy, as there is nothing easier to whip up a meringue base, slather on some whipped cream, mixture of fruits and a dusting of icing sugar. But most of the time, we are left to look at all the egg yolks and wonder what to do with them. Ice cream is a firm favourite but not everyone has an ice cream maker. Don't panic , here is a simple ,very easy recipe and guaranteed to please everyone. A french classic set cream infused with vanilla & caramel. This dessert also makes a great finish to any dinner party and for that something special try infusing the milk with Orange peel, bay leaf and Stroh rum. 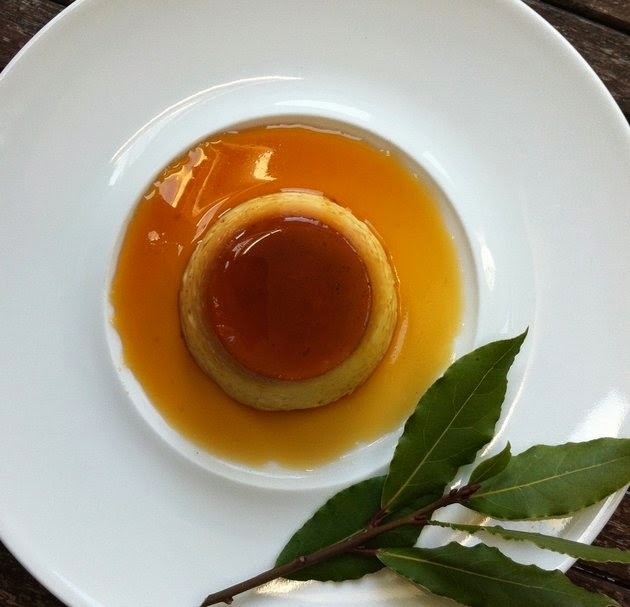 Stroh rum is a mighty Austrian rum, it has a distinctive caramel flavour that lends itself so well to this dessert. You will need ramekins to make individual portions. This dessert always brings to me memories of yester years and nostalgia, It reminds me of the kitchen of my mother and before that of my grandmother. It's like being back at home. Grease 8 small ramekins. Prepare the caramel by dissolving the sugar with the water over a gentle heat, then boil rapidly until you get a deep amber colour. Pour a little at the base of each ramekin. Bring the milk slowly to boiling point along with the split vanilla pods. Take off heat , cover with cling film and allow to infuse. Whisk the egg, egg yolks and sugar until frothy, add the rum and finally pour in the hot infused milk. Pass thru a strained and pour into your ramekins. Cover each ramekins with foil tightly and stand them in a tray, half fill with hot water and cook in a pre-heated oven at 160 c for 20- 30 mins or until set. If your custard is still runny, continue to bake for a further 5 mins or so. Remove from the oven and tray and allow to cool before un-moulding.